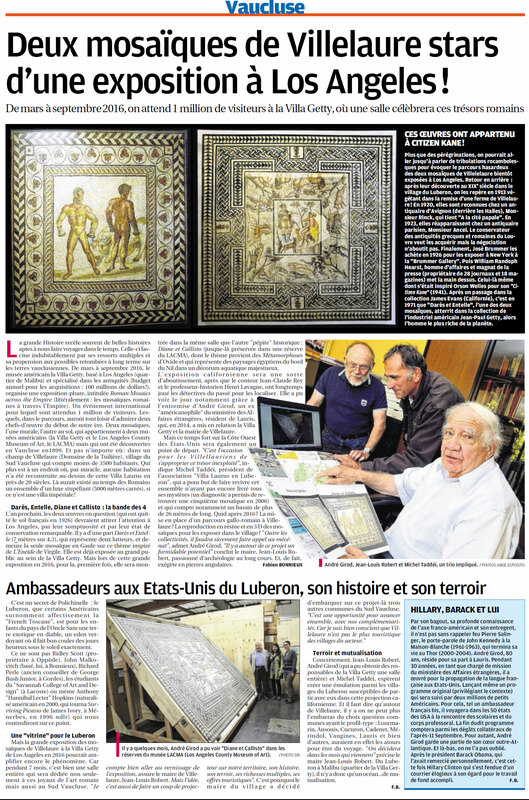 Today, Villelaure is reuninting with his history. 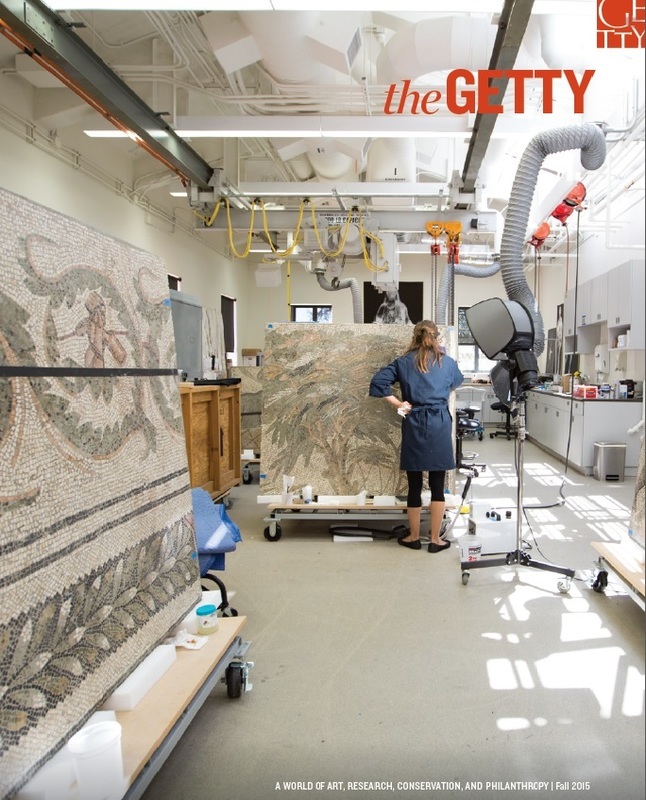 On march 30 thru september 12, 2016, the villa Getty in Malibu, LA, organizing an important exhibit on the Roman Art around the Mediterranean Sea. 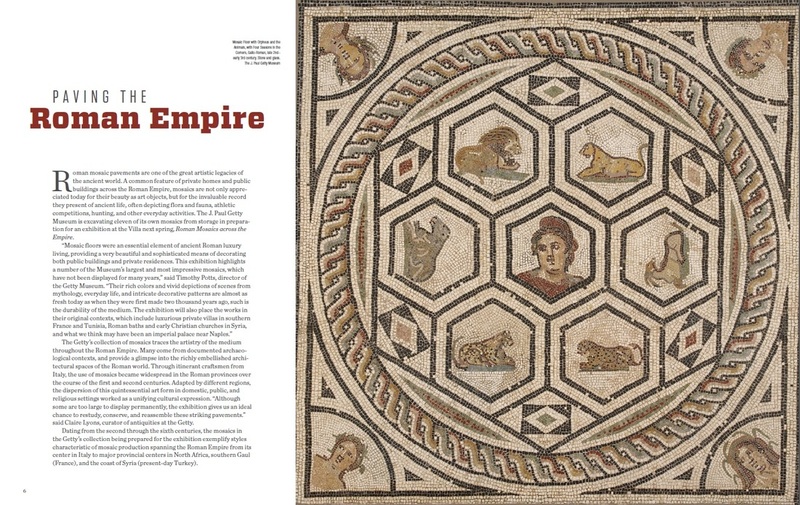 On display together for the first time since their discovery in 1899, are the two mosaics « Daries and Entello » and « Diana and Callisto ». This village, south of Luberon mountains, will also hold a privileged note in the cultural event with a room will be dedicated to Villelaure. 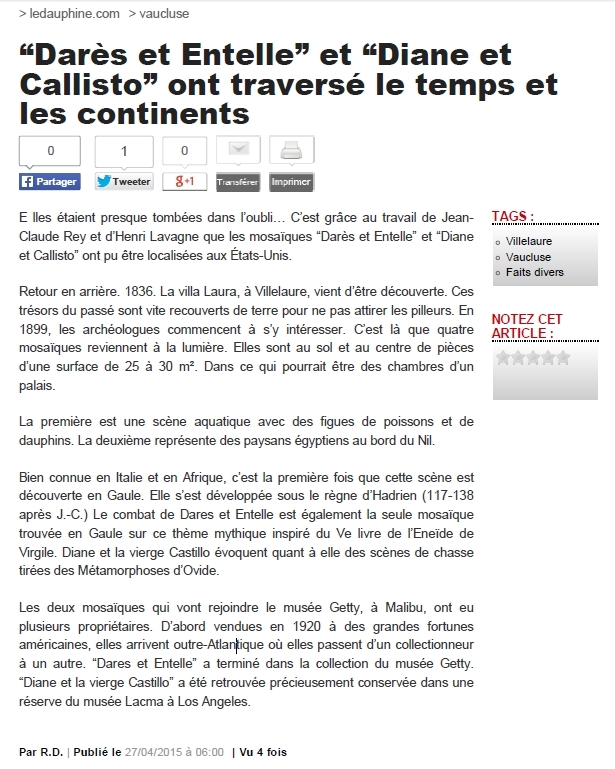 André Girod, writer, artist, specialist in American culture, a former member of the French Foreign Service, now retired in a nearby village, was the spokesman helping create this event between Villelaure and the Villa Getty. A Girod has worked tirelessly with the senior curator, Dr Jeoffrey Spier, and the exhibit organizer Alexis Bellis. 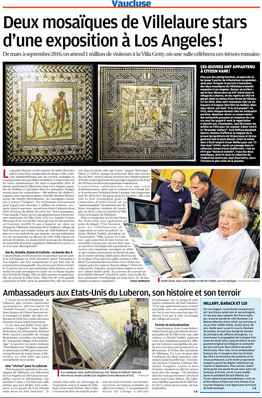 The two mosaics will be shown together in the same for the first time since their discovery. "Daries and Entello" will be on a wall and "Diana and Callisto" on the floor. "Deux mosaïques de Villelaure stars d'une exposition à Los Angeles !" 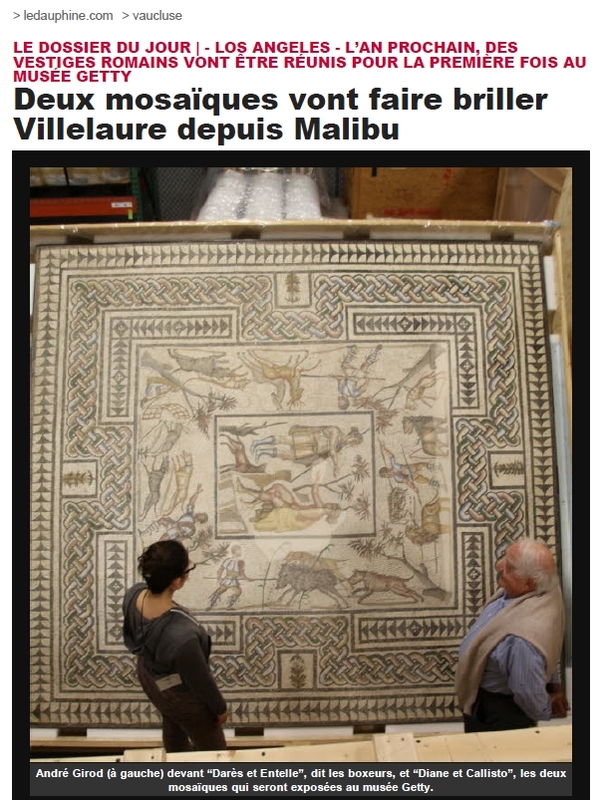 "Deux mosaïques vont faire briller Villelaure depuis Malibu"